The New Republic‘s excellent new blog, The Avenue (which I would read more frequently if they offered full-length RSS feeds), uses the viaduct replacement to talk about whether we can build things anymore, building on the Jacobs-vs-Moses debate I alluded to recently. As Glaeser notes, the only way large projects get built in the United States now is to grease the stakeholders (funny how a word that once meant neutral custodian of gambling wagers now means interested party) with amenities and other expensive mollifications. Beyond new parks and playgrounds, this resulted in extensive testing and monitoring of zoo animals as Portland built light rail under its West Hills, and it meant the purchase of air conditioners, soundproofing, and comfier mattresses for residents of Bostons North End during the Big Dig. On our podcast this week, we wonder how it is that Barcelona can build a new, 29-mile underground subway for 2-3x what it’s going to cost to build a mile or two of tunnel to replace the viaduct. Perhaps they just don’t have to buy as many mattresses and air conditioners. The more influential of these was the City Beautiful Movement in the late 19th century. Modeled after the Beaux-Arts grandiosity of the 1893 Worlds Fair in Chicago, the movement was an expression of a newly confident, ascendant America  a country of national monopolies and sprawling rail networks. The homogeneity of the architecture, with its classical facades typically arranged around formal parks, reflected the desire to create a symbolic language of national unity after the Civil War. Emulated in cities like Washington, Cleveland, Denver and Detroit, the movement gave the country its first uniform vision of city planning. The urge returned during the cold war in New Yorks Lincoln Center, the Kennedy Center in Washington, the Los Angeles Music Center. These sprawling cultural complexes, cut off from their surrounding neighborhoods, not only reflected tabula rasa planning orthodoxies of their time, but all of them used a mix of modern and imperial styles and themes to portray a progressive vision of America rooted in classical ideals. Seattle never got its City Beautiful (the Bogue plan was defeated in 1912), but we did get the “sprawling cultural complex” in the form of Seattle Center. Like Lincoln Center, Seattle Center is still trying to adapt itself to a changing urban environment. It seems unlikely that we’ll see any more of these grand urban development projects for a while. Many are being cancelled or scaled back (see Atlantic Yards in Brooklyn or CityCenter in Las Vegas) due to financing or local opposition. So what will the 21st Century bring? If we are to adapt to a post-carbon economy in time to avert the worst effects of climate change, we’re going to need to think big again. What that will look like, though, is anybody’s guess. What Kind of Metro Should We Have? As a young-ish, healthy bus rider, I’ve long ago accepted the fact that the Metro bus system isn’t primarily designed for me. If it was, the buses wouldn’t stop every two blocks, for example, nor would it travel through the city more slowly than I can walk. The bus system is designed to serve a plurality of people with different needs, and it takes a lot of empathy to come to terms with that. It also takes policymakers — who ought to have that empathy — to create a broad vision for the agency that reflects those diverse needs and make the tradeoffs necessary to implement them. Doug MacDonald — with whom I’ve disagreed in the past — has a long, thoughtful piece up on Sightline on King County Metro and the policy choices it faces going forward. MacDonald doesn’t offer many discreet recommendations, except to say that the bus service we have is the result of broad policy decisions that we’ve made (or not made) over the years. It’s not just about increasing service hours or decreasing them, but rather articulating what the agency’s priorities should be. Should we focus so much on on-time performance? 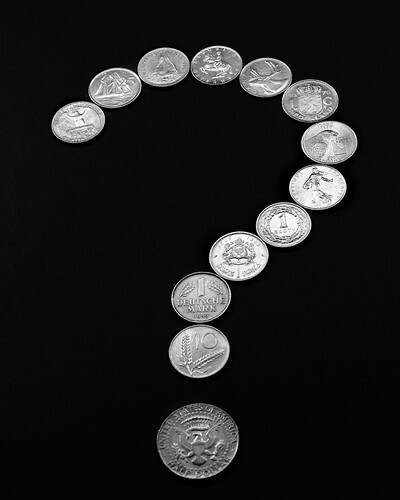 What is our obligation to the disabled? Should service to new areas take priority over existing areas? Should we invest in IT infrastructure in the short term to have better efficiency in the long term? The case made in the article is that these policy tradeoffs are not being discussed by the elected officials who should be addressing them. the Regional Transit Committee. It’s worth reading. 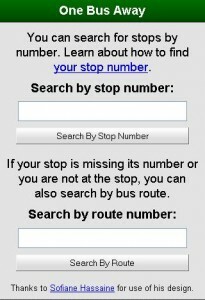 Increased service on routes 511, 513, 522, 532, and 554, beginning February 2011. 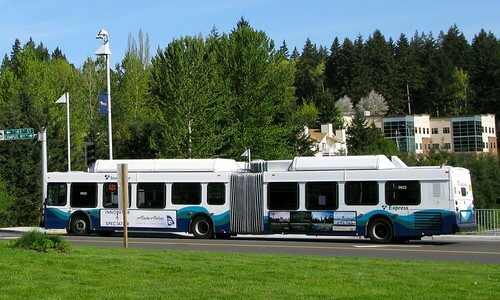 Route 511 Seattle-Lynnwood and 554 Seattle-Issaquah will have 15-minute service throughout the day on weekdays. New stop at the Mountlake Terrace Freeway Station for routes 511 and 513, beginning February 2011. Extension of Route 566 in February 2011 (replacing the 564 and 565 next February) from Overlake to the Redmond Transit Center. 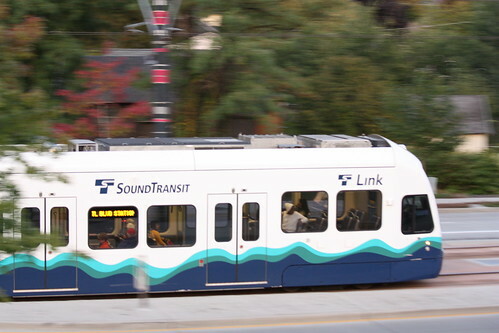 Sound Transit will hold open houses at the Overlake Transit Center on October 27, Mountlake Terrace Library on October 29, and the University Heights Center on November 5, all from 4 pm to 7 pm, followed by a public hearing in Union Station on November 19 at 11:30 am. Details of the service improvements and open houses are in the Fall 2009 issue of Regional Transit News. Erica Barnett over at Publicola has a lengthy and somewhat scattershot article with information that she uncovered due to the Seattle Citizens Against the Tunnel public-disclosure request. The group, which is also suing the state for SEPA violations, has hundreds and hundreds of pages of internal WSDOT e-mails, memos, and notes on their website. Has the state “strategically misrepresented” the viaduct? Erica sure thinks so. I have not had time to read through the documents, so I won’t weight in on that but at the very least this revelation shows how important the SEPA process is for creating open and accountable decision making. Go here to read her article. Last night, King County Metro hosted a Transit Applications and Data Workshop as a kick-off event in their larger effort to support developers doing interesting things with KCM data. I had the opportunity to attend and I wanted to provide a quick summary for those who couldn’t attend and a call to action for those who could. The workshop opened with a few words from King County Metro General Manager Kevin Desmond. It’s clear that Kevin has a lot of enthusiasm for the innovation that 3rd-party transit developers can drive, especially in light of KCM’s very-limited resources with respect to budget and their response to last December’s snow storm. Kevin opened the floor for a few quick questions, but it was pretty clear that the 40+ people in attendance had a lot on their minds, so moderator Sabra Schneider (you may know her better as @kcnews) cut questions short so we could move on with the agenda. More below the jump. Completely stolen from the Slog. I’m currently at the South Bellevue East Link workshop to take notes and ask about some key issues facing Link. I’ve got no access to wi-fi or internet, so I won’t be live blogging, but these are real-time notes as they happened. 5:16pm: I’ve arrived at Bellevue High School for the South Bellevue East Link workshop. Supporters of the B7/BNSF right-of-way alignment are outside handing out literature in defense of that particular alternative. I take one and politely brush past them. 5:20pm: An open workshop with a number of booths is set up for public input. The presentation is scheduled to begin around roughly 5:30pm. Each booth has renderings and drafts of different phases of the guideway that follows the preferred alternative. I hear a very elderly gentleman utter “that from everything [he’s] read, those trains can’t run across the I-90 bridge!” I hold my tongue. More of the workshop below the jump. Pretty cool. I can’t wait to tell my grandkids that even in the early 21st century, the best way to find out which route to take in our car was to wait 10 minutes for the traffic report on the radio and pray that (a) they covered the highway you were on, and (b) the report came on while you still had the opportunity to turn. McGinn’s answer during Wednesday’s debate? Option McGinn. The candidate said he’s choose none of the above because none of the existing options include specifics about light rail. On the east end of the lake, rail could extend from the South Kirkland park and ride to Kirkland and downtown Bellevue along the BNSF corridor, head east along 520 to Overlake and Redmond. 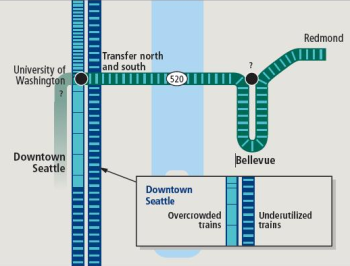 On the Seattle side, rail could extend through the University District to Wallingford, Fremont, and Ballard, and along the 520 corridor to South Lake Union and downtown. By holding the rebuilt bridge to two lanes of vehicle traffic, the impact on communities near the bridge is substantially reduced. 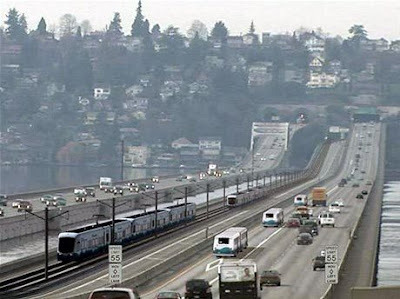 WSDOT own numbers estimate that peak bridge vehicle traffic is 29 percent lower under the 4-lane scenario versus 6-lanes; it would be reduced even further with dedicated high-capacity transit lanes open from day one (for lanes 5 and 6). With substantial variable tolls planned for the bridge, there really isn’t any question that 4-lanes can fully accommodate traffic and eliminate current congestion provided that an adequate transit option is provided.Much of the cost of 520, and almost all of the marginal new revenue at this point will come from tolling. Not only is it legally acceptable to spend a portion of tolling revenue on transit, Mike would argue that it is absolutely necessary on equity grounds. The Mallahan campaign did not take an opportunity to respond. The threshold for being convicted of a crime by killing someone with a car is lower than the threshold for killing someone without a car. Vehicular Homicide is a Class A felony, and Second Degree Manslaughter is a Class B felony, a less serious crime. Well, there’s a problem. The jury instructions define assault as requiring intent. So here is a place we could focus efforts to change how the law is interpreted… If we can change the jury instruction so that “assault with a deadly weapon” doesn’t necessarily require intent, then it seems like anyone who hits someone else with their car, under any circumstances, could be charged with assault in the second degree. This is obviously overkill, but we rely on prosecutorial discretion to mitigate overly broad laws in other cases. Why not rely on it here, too? The analysis you forwarded does raise questions for me.One is, if the current laws are applicable – why aren’t the counties prosecuting? Of the 500 we track annually, there are an average of 260 cases each year where the crash is solely the responsibility of a motorist committing and infraction, and the outcome is death or disability for a bicyclist or pedestrian. Absent alcohol, none of these have merited charges under the existing laws. FWIW, Satterberg’s office is telling us the burden is too difficult to meet and it requires knowing the driver’s intent. It’s possible that every single county prosecutor in Washington is weak kneed and that the author of the email you sent is correct… but I can’t find any evidence to support that theory. As always, I want to point out that month-to-month ridership reports don’t mean very much and are subject to seasonal variations and small-sample-size issues. Nevertheless, weekday boardings slipped from 14,931 to 14,852 from August to September. Weekend numbers (and more) are in Scott Gutierrez’s post at the P-I. If I had to speculate, I’d say the week and a half of operations post bus changes, plus school opening, were canceled out by fewer and fewer things to do downtown as we head into fall, plus a reduction in joy riding. In other news, the automated passenger counting system is fixed. It’s intensely annoying to anyone whose destination happens to be Beacon Hill. Beacon Hill Station, besides being awesome, is entirely protected from the elements. I’ve heard speculation that it’s a consistency thing: for the last train of the night, they drop people off at Mt. Baker because the late night bus connections are better, and Beacon Hill Station takes longer to shut down. Having one dropoff point for the end of operations and one for shift changes might unnecessarily complicate things. I couldn’t get anyone at Sound Transit to state for the record what the problem is. 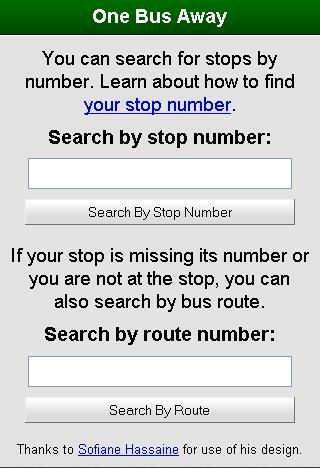 The bus thing doesn’t really make sense, given that late night service is just as good on the 36 as it is on the 7. At any rate, the operational convenience argument is pretty thin when it isn’t something that would cost any money to fix. WSDOT is starting to ramp up it’s public information campaign for Active Traffic Management Systems (ATMS). It was a good choice on their part to re-brand ATMS, and other associated ITS technologies, as Smarter Highways rather than the super nerdy acronym speak that engineers love. Continuing this theme, rather than fixating on the technology, WSDOT has chosen to focus on the driver experience, explain why this technology is needed and how it will improve drivers lives. As part of this WSDOT has released information about Smarter Highways including the video above. I like the video but think that the interactive website does an even better job of stepping drivers through what to expect and how they should react. WSDOT also has a wordy folio, and a slick card. Yesterday, we broke word that Susan Hutchison favors putting light rail across SR-520. She re-iterated this position at last night’s debate. This isn’t the first time someone has held this position, but that makes the suggestion no less tired. Hutchison would do very well to read our past research on the subject because her current position is simply irresponsible. But in June of last year, we showed why light rail has to cross I-90 first: The University Link tunnels cannot handle Eastside passenger traffic. Light rail across SR-520 would lead to significant overcrowding and poor service performance unless we build another expensive tunnel to downtown. In January of last year, we noted that plans to eliminate future capacity for light rail from the SR-520 bridge saved $400 million dollars — a number Hutchison will somehow have to recover. The engineering challenges of going from the elevated 520 span to the underground Husky Stadium light rail station are significant and difficult. 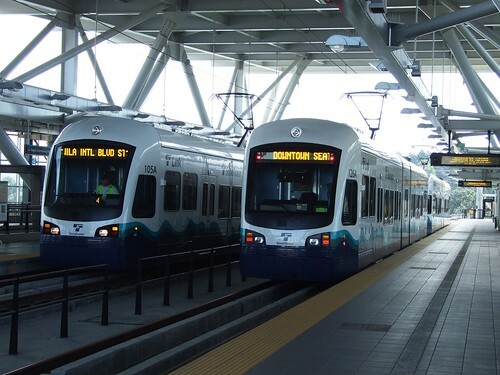 For these reasons, Sound Transit notes that light rail across SR-520 is much more expensive. Most importantly, the current alignment is voter approved: In November of last year, an overwhelming 62% of the voters in King County passed a plan that put light rail across I-90. But in June of 2007, we showed that I-90 does not lose lanes after light rail. And we showed the corridor actually gains capacity from new HOV lanes in each direction. 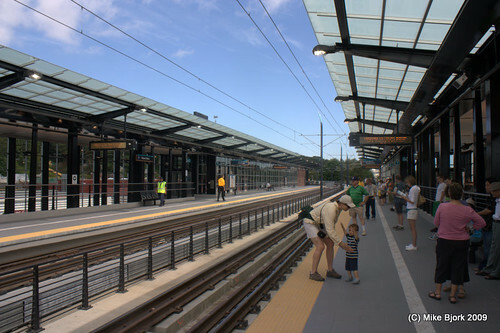 In March, we pointed out that the federal government funded our center lanes expressly to be converted to rail transit. The state has borrowed those lanes for decades. But we reported in July that transit agencies have purchased roads right-of-way in the past before without issue. WSDOT is working with Sound Transit to value the center lanes so Sound Transit can purchase them. Sound Transit is funding the two-way HOV lanes across I-90, and that work can be used as credit toward the purchase. The state is not giving Sound Transit the lanes. The lawsuit about light rail going across I-90 is not against light rail. 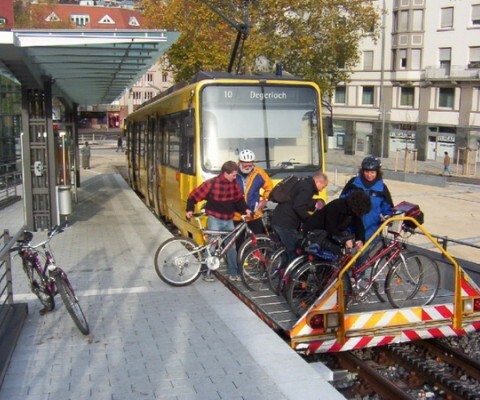 It is against using roads money to build light rail. In fact, it is a violation of the 18th amendment which says roads money can’t be used for any other purpose. We should build light rail on the new 520 with a designated lane. We should not take lanes away from I-90 for light rail. It’s not generally understood, except by professionals and longtime readers of this blog, that for technical reasons it would be extremely difficult to send Link over SR520 without a new downtown tunnel. And of course, the I-90 alignment has been approved by voters and is in the advanced planning stages. Scott Gutierrez breaks down the City’s new full funding plan for its share of the deal. The City Council voted unanimously to approve the agreement. “Advokat” at Publicola makes a strong case that the City will not end up paying for overruns. The comment thread has several intelligent rebuttals. Eric de Place of Sightline says local tunnel projects almost always have serious overruns. As before, I’m leery of these anti-everything fear, uncertainty, and doubt (FUD) tactics, as there are tunneling projects which I very much favor. * Full report here. And, of course, Mike McGinn reluctantly accepts that the tunnel is going forward. So I had this long blog post drafted about McGinn, Mallahan and the tunnel, and how the tunnel was costing McGinn more than it was gaining him, and how it was going to cost him the election. Anyway, I guess it’s all moot now because McGinn’s using the unanimous city council vote to approve the tunnel as an reason (excuse?) to modify his position. Anyway, I’m voting McGinn and you should, too. If you’re undecided, you should watch these video highlights from the Capitol Hill candidates forum. McGinn comes across as super knowledgeable, though Mallahan does seem more likeable and empathetic. Without much of a public service record to stand on, though, it’s hard to know who would be a more successful mayor. McGinn might prove too wonky and stubborn to compromise and get anything done, while Mallahan may be too “pragmatic” (his word) to do anything meaningful. So we roll the dice. In the end, though, if Susan Hutchison does pull out a win for King County executive (and it looks like she may), it will be even more important to have someone standing up for the city on transit issues. PS: For other endorsements, check out the transit riders union’s responses here.